Four years have passed since South Sudan seceded from Sudan, and the only thing it has earned so far is violence and internal crisis that seems to have no end in sight. The international community has stood by South Sudan’s side, but the new country has repeatedly let everyone down. The ongoing violence and civil war in South Sudan has killed and displaced millions of innocent civilians. This young country, carved forcibly out of Africa’s largest nation (erstwhile undivided Sudan), is a living example of a failed state. But that is not all: recently, South Sudan decided to expel UN officials from its territory, out of fear that cases of human rights violations might reach the rest of the world. Calls to reconsider the decision went unheard, and the United Nations Security Council was forced to impose travel bans and sanctions in response. One might wonder: why has South Sudan failed to get its act together? The answer is simple: South Sudan, by all means, is just not meant to be a separate state. Undivided Sudan is what should be existing in its place, and this forced partition has only made matters worse. South Sudan is unable to function as a cohesive unit, simply because it lacks all the basic ingredients that are required for nation-building. However, even though South Sudan should probably not have been created, now that it is a reality, why can it not exist in peace? Well, to begin with, the Sudan Peoples’ Liberation Movement/Army (SPLM/A) is not a freedom outfit. Instead, it is a regional terror organization that just sought to destroy Sudan and carve a territory of its own that could be ruled with the help of military junta. With Western help, SPLM/A succeeded, and the rest is evident. As such, the SPLM/A neither has a vision for nation-building nor a roadmap for the future of South Sudan. All it can offer is a mechanism that crushes civilians with the help of military power and helps a handful of crony-capitalist overlords in their bid to exploit the natural resources of South Sudan. This is precisely why things keep getting worse in South Sudan: the number of casualties and refugees is ever on the rise! Of course, attempts have been made to foster reconciliation and help South Sudan survive. There exists no other option: pro-secession pundits in the West were projecting South Sudan as the new cradle of democracy in Africa, and now that their dreams have fallen flat, every attempt is being made to somehow keep South Sudan in existence. But none of that helps. Agreements are signed, and forgotten. President Kiir and rebel leader Machar refuse to give up. And to be very frank, neither of them can be blamed. Both are just puppets, and both wish to be the apex puppet—Machar accuses Kiir of having ambitions that are too big to swallow, whereas Kiir claims Machar wishes to oust his government. So, is there any way South Sudan can survive? To be very honest, the best way forward would be to rid South Sudan of these incompetent puppets and head towards a merger with Sudan. South Sudan is nothing more than a blunder, and the longer this joke of a country stays in existence, the worse things will get for its inhabitants. 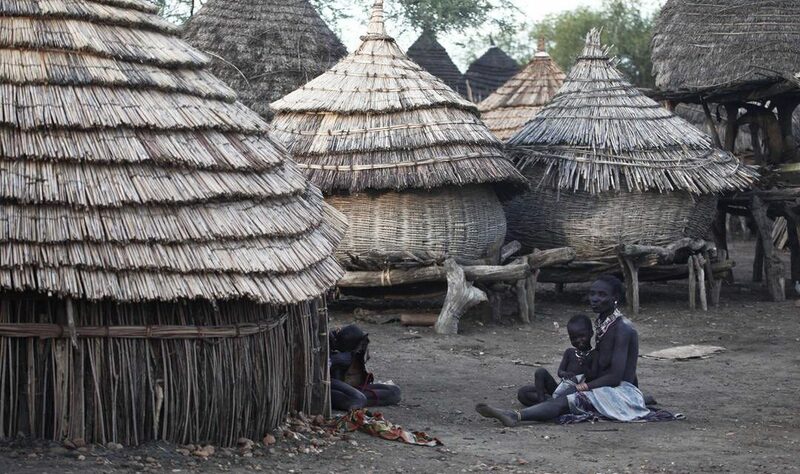 At the end of the day, in any civil war and social unrest, the civilians are the ones that suffer the most, and South Sudan’s case is no exception. As such, efforts should be made to reconcile and merge South Sudan with Sudan. Just in case ego prevails over sanity and a merger is not acceptable, the next best route would be to initiate the peace process with Sudan as a mediator. Like it or not: Sudan knows South Sudan better than anyone else, be it UK, USA, Russia, China, or even its own African neighbors. As such, any body that is created to sort out the crisis in South Sudan should include Sudan as a member. That said, the time to act is now. In the past four years, South Sudan has witnessed nothing but violence, and any further delay might prove disastrous for this failed state.